A high quality electric only ladder rail from Premier, features a simplistic stylish design. 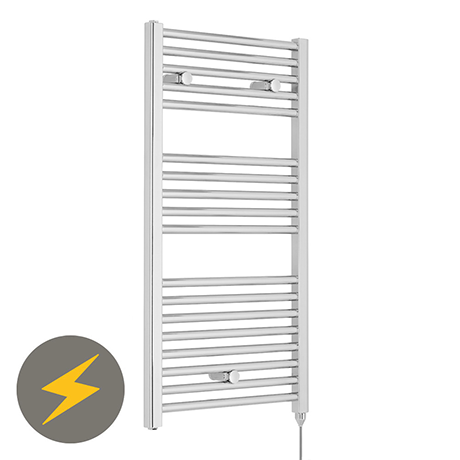 To ensure ease of fitting, these electric-only towel warmers are pre-filled with electrical inhibitor solution, which helps protect the internal walls of the radiator. Supplied with fitted 300 watt heating element. Comes with a 5 year guarantee against manufacturing defects. "All items as expected, very happy with quality. Very prompt service." Easy to install and great looking product.